It’s that time of year again! If you’re a professional in the hardware and home improvement industry, National Hardware Show is the place to be. This year’s show takes place in Las Vegas from May 7-9, 2019. Dirt Laser Series are semi-professional grade pressure washers available in cold water. Choose from one of the five top of the line machines to assist with tackling the most rigorous of cleaning jobs to bring back the shine. When it counts, these machines provide you with the quality you deserve and the dependability you can count on. It is having the convenience of getting the job done faster, easier without costly upkeep and repairs. They are each powered by both Honda and Kohler engines which are known for their superior reliability and being exceptionally quiet. The exclusive Pressure-Pro, Inc. Terminator Pump features include: all brass pump head for an extra-long life, turbo boost built into the detergent dispenser which increases pressure at the gun, built-in pressure relief (EZ Start) relieves pump pressure dramatically reducing the effort it takes to start the engine and a one-step unloader removal simplifies repairs. These machines are proudly designed and assembled in the USA and are perfect for heavy duty jobs, home cleaning projects and can be used on all outdoor surfaces. Pressure-Pro, Inc.’s Contractor Series expands its presence in the rental industry by adding eight (8) cold water machines including a portable, hand carry unit that is powerful yet perfect for small spaces. This expansion allows Pressure-Pro, Inc. to actively compete in the rental industry and offer machines that can be used for both commercial and residential applications. The Contractor Series are perfect for providing the cleaning needs at worksites, recreational facilities, residential locations and more. All pressure washers within the series excluding the electric, hand carry unit, are powered by Honda engines which is one of the most popular and trusted names in the pressure washer industry. Whether the need is for a home improvement project, an outdoor surface with stubborn grime, or a heavy-duty industrial job, Pressure-Pro, Inc. has got the rental equipment you need for projects both big and small. For more information regarding the Pressure-Pro, Inc.’s Contractor Series pressure washers and other products, please visit www.pressurewasherrentals.com. 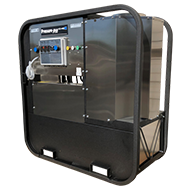 High pressure washer manufacturer, Pressure-Pro, Inc., announced that they have introduced new hot water pressure washers to their line known as the HN series. This change will replace the Pro-SGF series. The HN series are stationary high power hot pressure washers that are powered by electricity and heated by your choice of natural gas, propane or diesel. This allows the user to install indoors and have hot water on demand in their facility wash bay. The HN series offers a clean and efficient heating system with a durable frame construction and a 24-volt automatic, electronic ignition on low emission natural gas burner. Liquid Propane conversion option or diesel heated option is available on any model. They also showcase a bypass cool system which protects the pump from overheating if left on after use. Each machine offers easy to remove panels on an open frame design with open backside which gives the user full access to all components, including EZ Align™ belt tensioning system, electrical box, and burner igniter for efficient preventative maintenance checks. • Heavy duty industrial motor with standard thermal overload protection. complete control from the wash site. 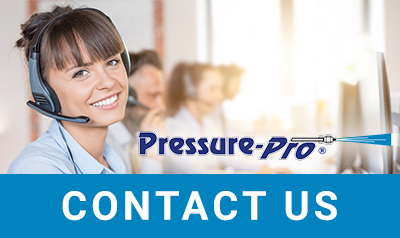 For more information on Pressure-Pro, Inc., please visit http://www.Pressure-Pro.com. Nilfisk HPW is a leading manufacturer of professional pressure washer equipment, announces its participation at the International Production & Processing Expo (IPPE), February 12-14, 2019 at the Georgia World Congress Center in Atlanta, GA.
Exhibiting this year at booth #B8607, Nilfisk HPW will be showcasing an expansive product portfolio found within each of their brands of high pressure washers by Nilfisk and Hydro Tek. With over several decades of cleaning expertise, they develop and manufacture high quality products that represent the latest technology and innovation in the pressure washer industry. Whether the need is for cleaning and sanitizing equipment in all segments of the feed, meat and poultry industry, an outdoor surface with stubborn grime, or a semi-professional or industrial job, they have the machines you need for projects both big and small. Choose from any one of their machines to assist with tackling the most rigorous of cleaning jobs to bring back the shine. MH 4M is ideal for all hot water commercial and industrial cleaning tasks. Equipped with EcoPower™ boiler, it offers ideal and best in class efficient performance level for general hot water cleaning. The MH series has an EcoMode option which adjusts the boiler to its most efficient setting for cleaning protein rich material such as blood or animal waste. MC 5M mid-range cold water pressure washers are the most versatile partners for demanding customers in agriculture, industrial, construction and automotive applications. SM Series are compact, portable, gas powered, diesel heated hot water pressure washers that have stainless steel coil housing, panels and burner cover for durability against the harshest environments. Nilfisk HPW – High Pressure Washers experts will be available in booth # B8607 to consult and discuss needs for specific industry applications. For more information on Nilfisk HPW – High Pressure Washers, please visit http://www.nilfiskhpw.com.